World War Z is a film that in many ways, seems like it has come along too late. The past ten years has seen a deluge of zombie films released, three seasons of the successful TV series The Walking Dead, and the subgenre was brilliantly parodied just this year with the excellent Warm Bodies. Max Brooks’ groundbreaking novel was released at the height of the craze back in the mid-2000s, and that craze seems to be dying down. The time to adapt it seemed to have come and gone. That, coupled with production delays and the fact that Brooks himself hasn’t spoken highly of the film version sent me into the theater with my share of doubts. However, I’m happy to say that World War Z is a film that is full of surprises. Disregarding the cool, but probably unfilmmable, structure of the novel, the movie version follows the story of UN employee and family man Gerry Lane (Brad Pitt), as he races across the world trying to find a cure for the zombie plague. The first surprise the film presented me with was that I instantly recognized the theme music. Much to my delight, it is an instrumental version of Muse’s song “The Second Law: Isolated System.” More of their music appears throughout the film and helps craft a grandiose atmosphere. Since they are one of my favorite bands this was a pleasant treat. The second surprise was that this movie isn’t a thought-provoking horror film a la George Romero or a survival thriller in the vein of Quarantine; this was a hero-fighting-against-all-odds Hollywood action film with big set-pieces, multiple locations, and a thriller plot. More like Independence Day than 28 Days Later, the action starts quick and doesn’t let up until the end. Ultimately, it was a wise choice on the filmmakers’ part to treat the material in this way. Throwing the undead into a summer blockbuster brings a fresh spin to each staple. It’s not apt to give you much to think about, but as far as summer activities go, it’s loads of fun and it’s healthier than tanning. 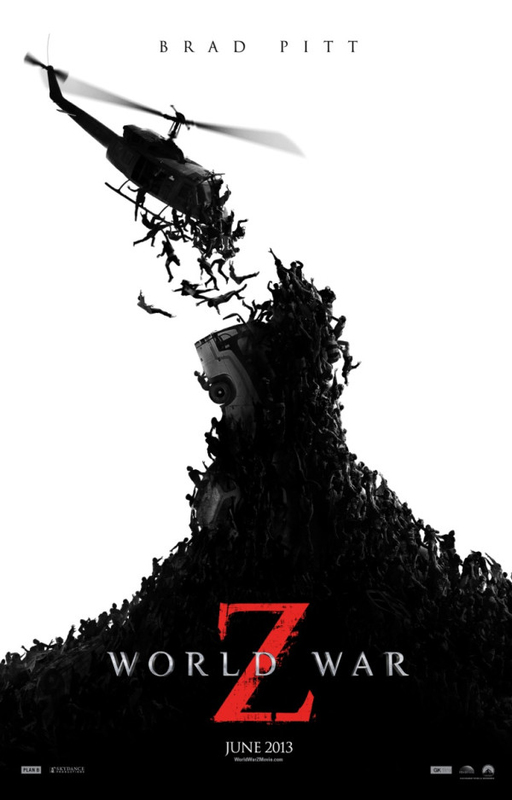 World War Z opens today in Philly area theaters.